If you want your nonprofit’s Constituent Relationship Management (CRM) system to function at its best, you need a good set of eyes and hands managing it. A CRM Administrator is crucial for the success of your database. Almost daily, nonprofits ask us to provide advice and insight about this valuable position. So, over the next few months, we’ll share our top tips — drawn from our 16 years of experience working with over 800 nonprofits — in a series of articles on this topic. Our goals: to give you an understanding of the best-case roles and responsibilities of a CRM Administrator and raise the level of expectations for this often under-valued position. What qualities should I look for in a CRM Administrator candidate? What are key functions and responsibilities of a CRM Administrator? What are some options for configuring this position, including when to create a department and where to place a CRM Administrator in my existing organization? Are there special considerations for small organizations? What about considerations for multi-site or “chapter” organizations? The demands of the nonprofit sector require more from a CRM Administrator or Database Administrator (commonly called a DBA, for point solution databases that support a single function, such as fundraising) than they have in the past. The world of nonprofit data management has shifted radically over the past 10 years, and will continue to do so. Your CRM administrator will engage in activities across the organization to support this shift. While the titles DBA and CRM Administrator imply different scopes of work, they share many similar qualities. The functions these positions take on are going to be governed more by overall organizational goals, even when working with a single database within a single department, than they have in the past. Loves database work and the nonprofit sector. You need someone who is truly passionate about technology work and the nonprofit sector. Resourceful. These are people who often teach themselves how to do something. They search blogs, Twitter, user forums, help guides, etc. They are constantly learning and thinking innovatively. Flexible. This person should be willing to grow and change as your organization changes. Your CRM use likely will expand, and this person needs to grow with it. Communication and training skills. This role is “user facing.” This person needs to understand what a user is trying to do and reach out to them at their level. The more your Administrator understands the business needs of users, the more successful your CRM system will be. Commitment to success. This person must be committed to the success of your entire organization, not just his or her boss or a specific department. This is a team-oriented position. Understanding of principles and strategies in philanthropy and nonprofit accounting. While we have seen people learn these, they tend to be difficult for people coming from a completely different industry. General knowledge of Microsoft Office Suite (Word, Excel, Outlook) or Google Apps, if your organization uses them. Experience moving projects forward rather than just responding to crises. While keeping things running smoothly is important, you want your CRM system to evolve as the organization changes. It’s important that this person sees opportunities for growth and understands how to make those changes happen. We’re not suggesting that your organization should hire someone with no database experience at all — just that specific CRM experience shouldn’t be the only factor in your hiring decision. 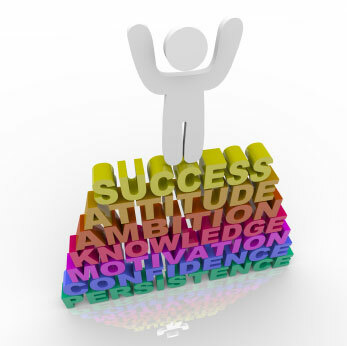 We’ve found that many of the above characteristics have been critical to our clients’ success. What qualities would you add to the list? Let us know in the comments section below. Be sure to watch for future posts, in which we’ll discuss specific roles and responsibilities if you are using The Raiser’s Edge® (or similar fundraising software) as well as if your Administrator manages an organization-wide CRM system. We’ll also discuss the “care and feeding” of such a position to ensure that the person or department is involved in making your organization a success. Tracy Kronzak joined Heller Consulting after more than ten years of experience in the philanthropic and nonprofit sector. Immediately prior to joining Heller Consulting, she was the technology manager at the Applied Research Center, a national racial justice and media advocacy organization, where she was responsible for Salesforce.com implementation and integration with third-party marketing tools, strategy and growth of organizational technology, network architecture, and user support. Tracy loves all things technical, and likes collaborating to produce the best possible results on projects. She has a personal commitment to social justice and the nonprofit world, which is why she’s thrilled to engage with Heller’s clients’ needs and goals to improve our society and our world. Tracy has a Master of Public Administration degree in Public and Nonprofit Management and Policy, and is a Salesforce.com Certified Administrator and Developer. In her free time, she is a ceramic artist and potter, and an avid cyclist.